A few weeks ago, I shared some photos of my frizzy, abused, and neglected hair which needed an emergency makeover. I've been planning to give it my full attention for several months already but because of my unbelievably busy schedule at home, at work and with my blog, I couldn't devote one whole day for it. They say there's a reason why things happen right? I guess, that "reason" came when I received an invitation to the launch of Louis Phillip Kee Premier Salon's newest branch in Libis, Quezon City. The even invite came with my choice of free hair service or hair treatment. I told myself, I must have done something right to receive that blessing! But I wasn't available during the schedule on the invite, so with little hope I asked if I could have my hair makeover done at another branch. 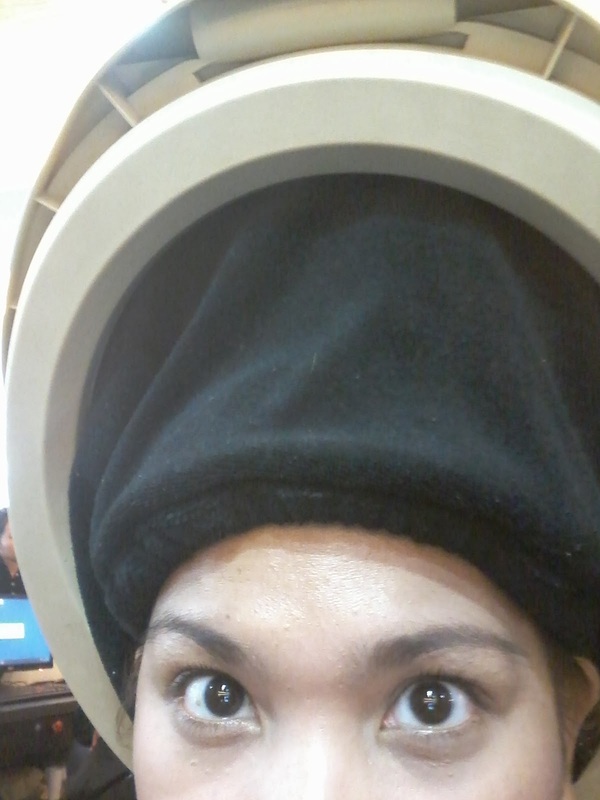 One of my challenges in delaying my hair makeover is time. 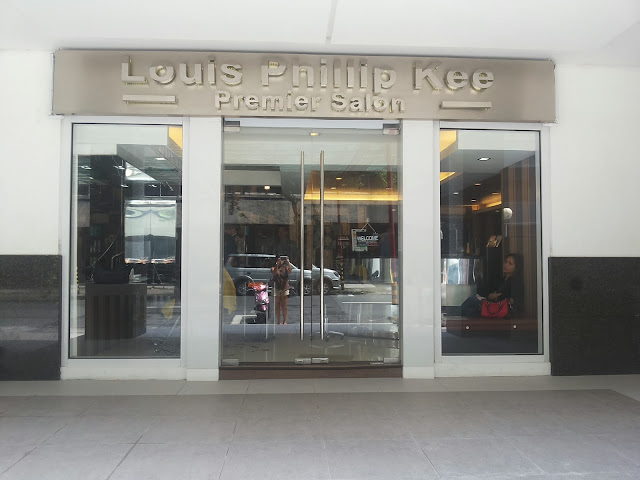 Fortunately, it was a Muslim holiday when I went to Louis Phillip Kee Premier Salon in their Legazpi branch, Makati City. If not for the holiday, I bet myself I would have delayed my hair makeover for few weeks or even months. 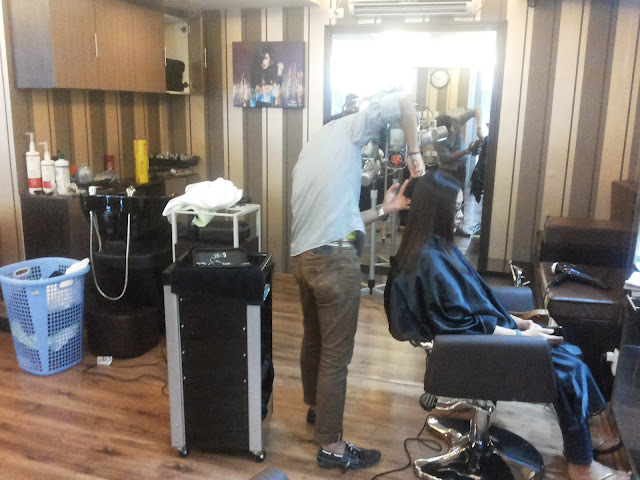 Professional Hairstylist working his magics on a customer. 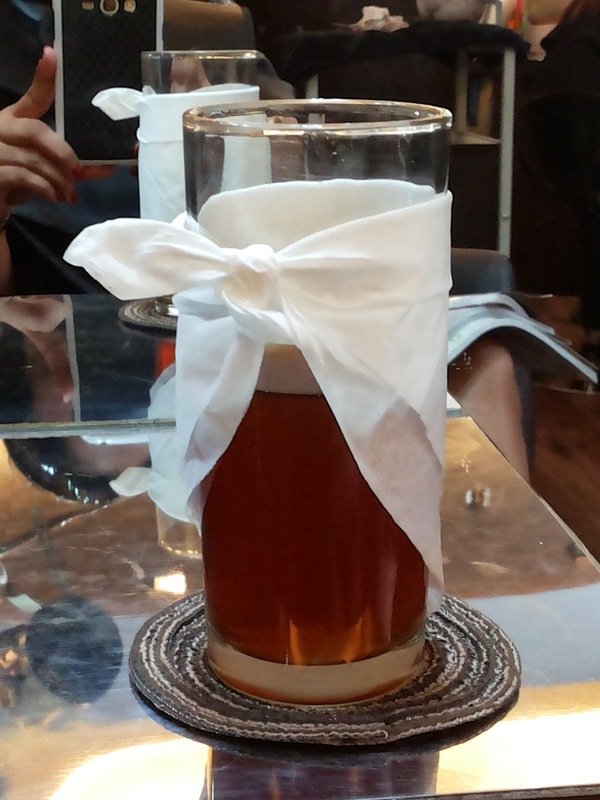 Drinks offered to customers while having service done. When I was asked which hair treatment or service I would like to avail, I chose their Keratherapy Treatment, hair color and a trim (my long hair badly needed one!) Keratherapy Treatment aims to tame dull, frizzy and unruly hair, like mine. 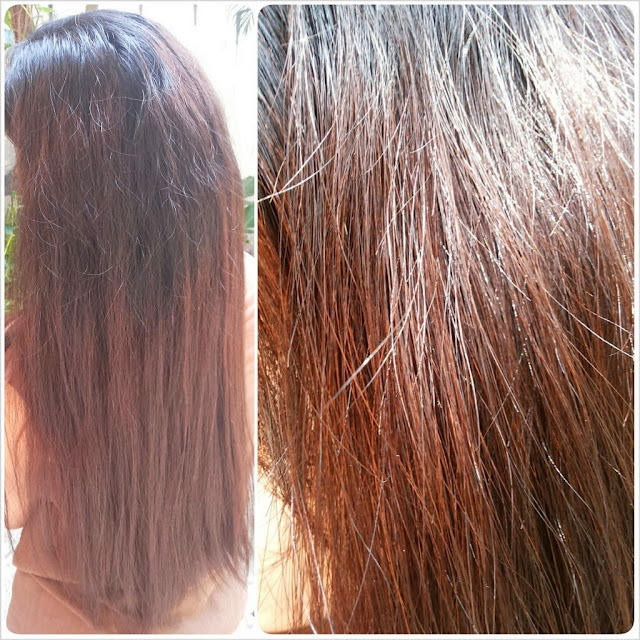 It's a treatment close to rebonding, only it doesn't give a super straight and "dapa" effect. It also is a healthier option for the hair because it actually repairs the hair and brings back life to it. Here's my hairstylist, Ronald Cardona, who's been with Sir Louis Phillip Kee for as long as he can remember. He's the senior stylist at the Legazpi branch. A father of a 4-year-old daughter, Ronald and I instantly connected and bonded through chikas in between waiting time in the salon. Anyway, he first colored my hair. 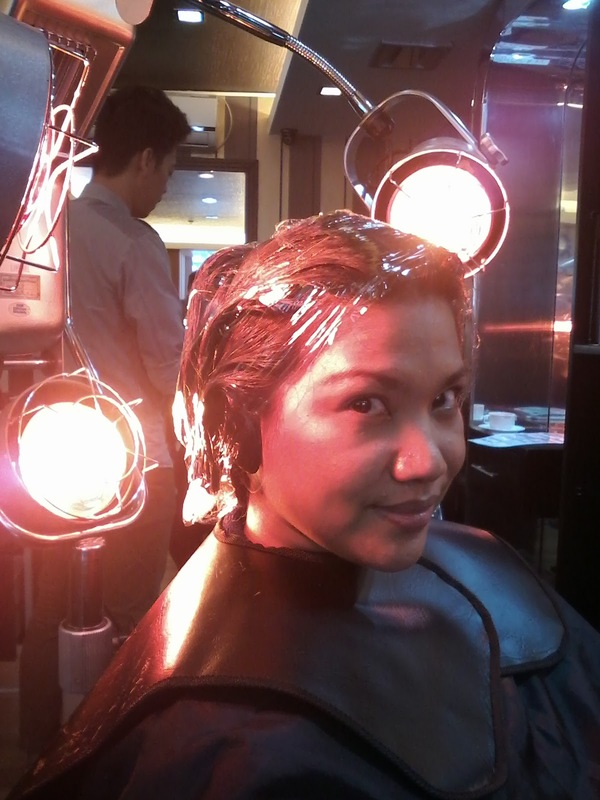 I requested for a light shade of brown, not red nor blonde as it may make me look either dark or foreign. Ronald chose Cappuccino Hair Color for me. Infrared lighting was applied to my hair to make sure the color stays. My hair was washed before proceeding to the next hair service, which was the Keratherapy Treatment. My hair being steamed this time. 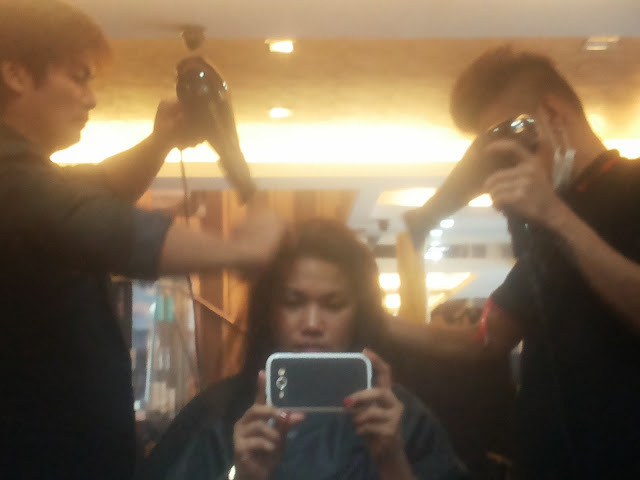 They had to join forces to dry my super long ang thick hair. Trim was done after my hair was dried and ironed by Ronald. TADAH! After over three hours of me-time at the salon, here's the finished product. A healthier and more vibrant looking hair. 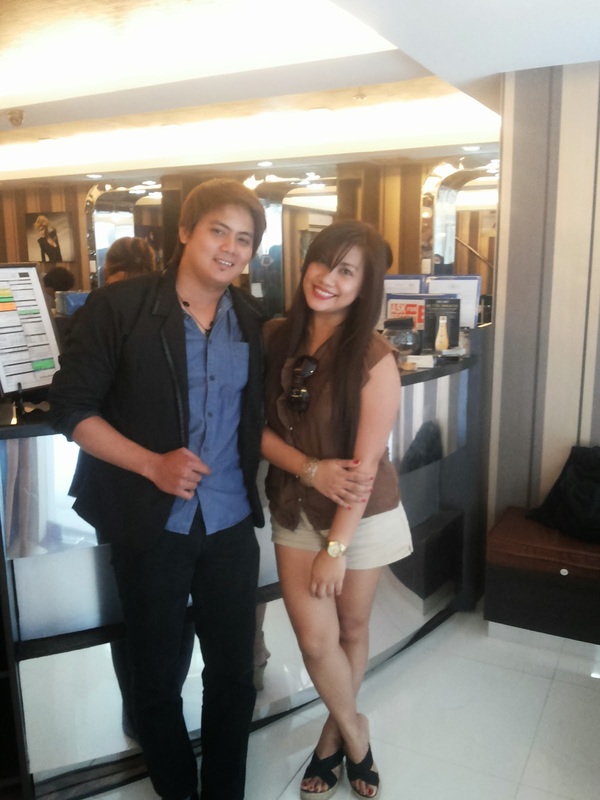 Thank you to my creative stylist Ronald, for being so patient and for accommodating my hair and personal questions. 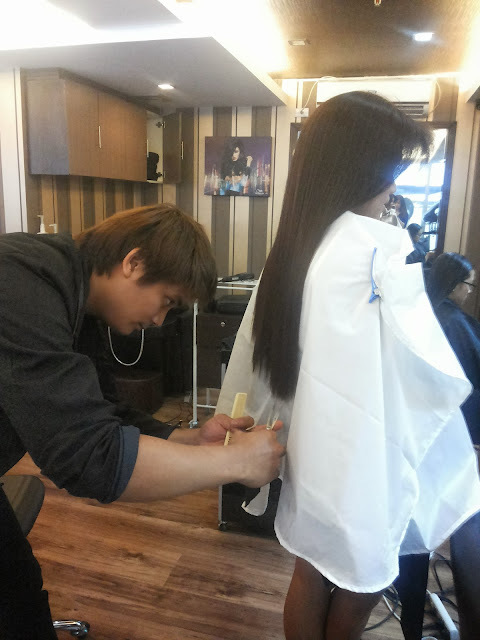 Superb-looking hair after the treatment! I love how softer and more manageable it is now. I love my new hair color too! 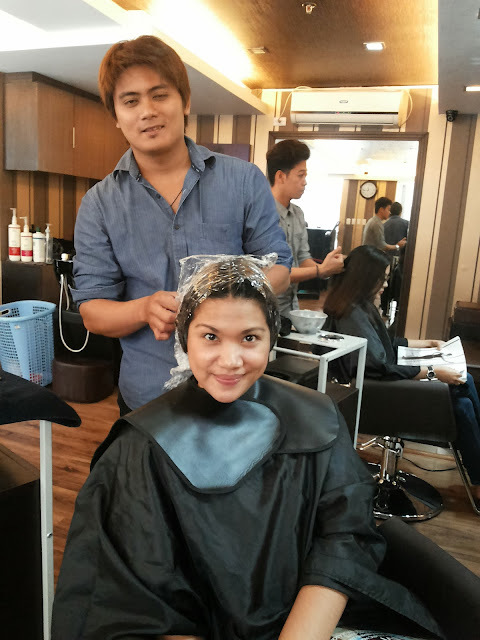 Thanks Louis Phillip Kee Premier Salon! For more information on Louis Phillip Kee Premier Salon, visit their website. You may also like them on Facebook for promos and updates. Unit G11 Grand Midori Condominium Legaspi St.
muther, hindi ba masyadong expensive sa Louis Philip? Hello! Nice review. :) I'm wondering how the therapy was able to hold after a few weeks or months? How is it now? I hope you can give me an idea since I'm planning to get some treatments for my hair soon. :) thank you!